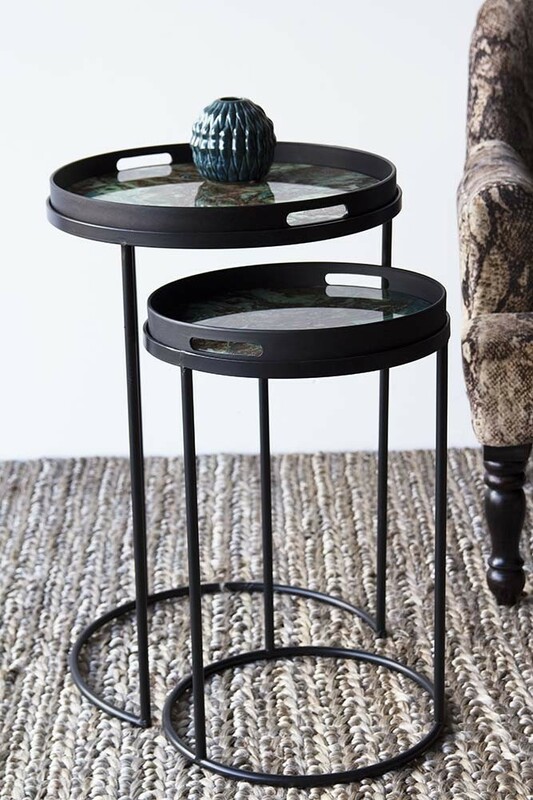 Create a style spot with this beautiful set of side tables. 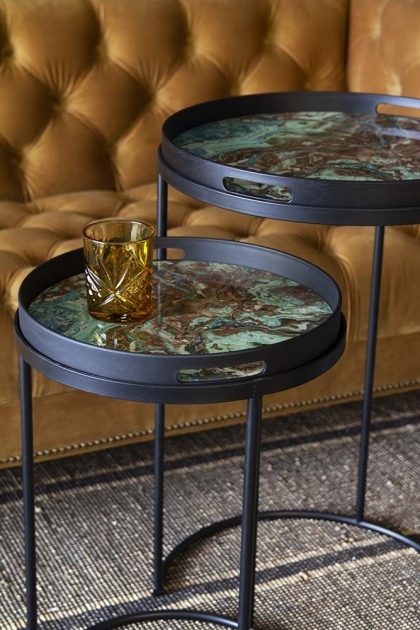 A gorgeous combo of style meets function, the side tables are adorned with a beautiful green marble effect top that will make your interiors sing. A beautiful furniture piece; the set of 2 side tables can be used as a functional coffee or side table to prop your cups of tea and coffee on whilst you are reading a book, glossy mag or catching up on your favourite series. 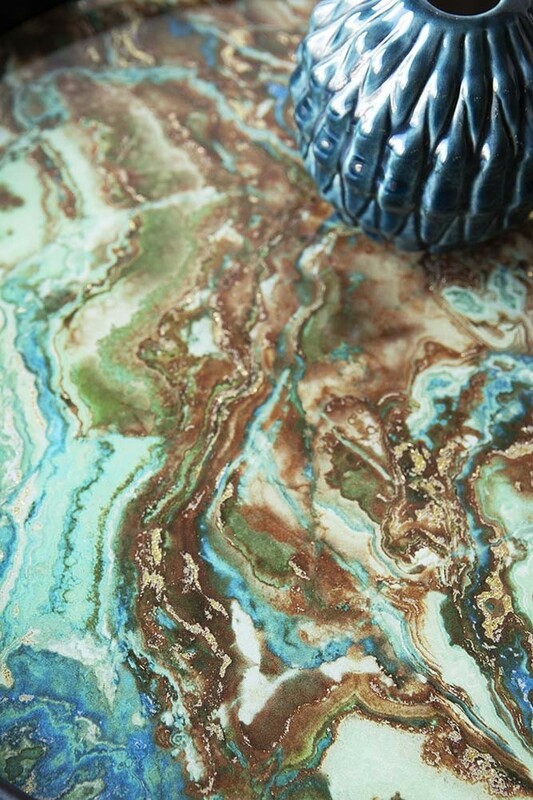 Or, alternatively, it could be a fabulous focal point piece for your style spot. 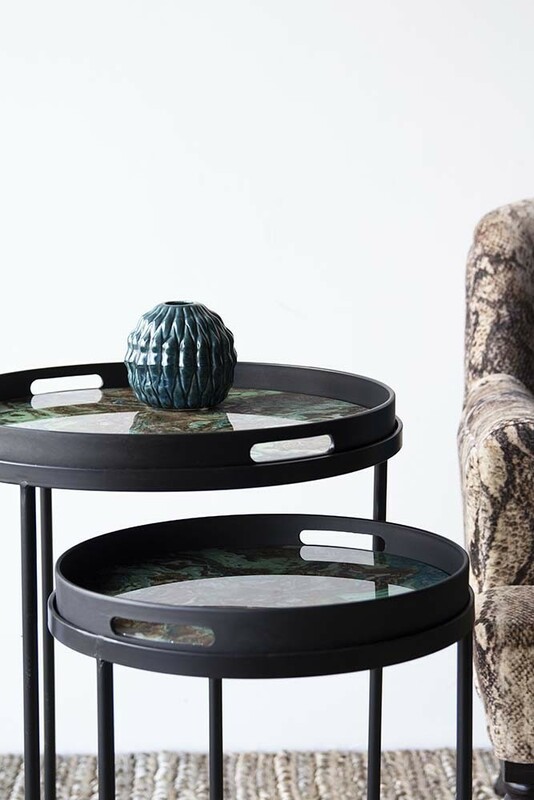 Light weight, portable and with a detachable tray top the Set of 2 Green Marble Effect Tray Side Tables can be moved around your living room, bedrooms and hallways whenever the mood suits. You could even use the tray as a breakfast tray for breakfasts in bed! 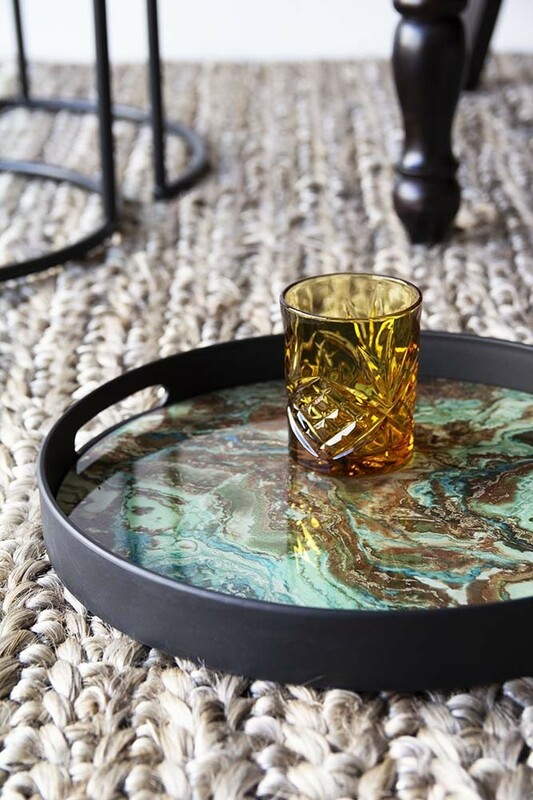 A beautiful multi-functional set of tables, you will fall in love with the Set of 2 Marble Effect Tray Side Tables.